If you want to earn big profits by investing in real estate without actually owning the property, then buying tax lien certificates at tax defaulted property auctions is something to consider seriously. 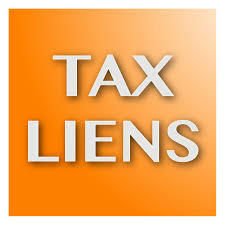 A tax lien certificate program can help you be a success. • Know the rules. Every county has different rules for buying tax liens. You must know what the rules are. • Do your homework. Mr. Milburn calls this “due diligence.” It means the same thing. “I have had situations where clients have bought five acres for $500 sight unseen ‘because it had to be worth at least that.’ Then when they go to see the prize they won at the tax sale auction, they learn they are the proud owner of a 5-acre ditch,” he wrote. When you do your homework, you do not get stuck with bad investments. I teach you how to avoid making these mistakes. Learn more at my website Members.TedThomas.com. Do people really make big profits investing in tax liens? The Denver Post newspaper says yes. “Local hedge funds and equity investment firms — some run by well known stock-pickers — are buying delinquent property-tax bills at county auctions as a means of landing stable returns in a tight market,” wrote David Migoya. There are two ways to learn about tax lien investing. You can do it yourself, the hard way. You can attend tax defaulted property auctions. You can try to learn about the property. You can try to understand how the auctions work. You can try to figure out what the property is worth. The second way is to find a coach to a teacher or guide you with a tax lien certificate program. Get someone who has found success in this business and is willing to teach you. The key is separating the pros from the people who are out to take your money. I’ve spent decades learning about this kind of investing and now I want to help you. I was interviewed for the Wall Street Journal, because of my expertise. Antonio and Ana Velez can tell you how much I helped them. Now, let’s take a look at some of the things you need to know to make big profits in tax lien certificates. Tax defaulted property is sold at a lien or a deed auction. Realtor.com, the website for the National Realtor’s Association, has this article which explains the difference between a tax deed and tax lien auction. Before you decide to start investing in tax defaulted property auctions, you need to decide which auction is right for you. Do you want to own property? Then invest in a tax deed auction. You get the real estate. You can rent it for a steady monthly income. You can sell it for a profit. You can use it a second home. It is yours. You get to decide what to do with it. Do you just want to make big profits? Then invest in tax lien certificate auctions. More than 95 percent of property sold at a tax lien auction is redeemed. Redeemed means the owner pays you for what you spent at the auction, plus interest. Tax defaulted property sold in Ohio auctions generate 18 percent interest. The Cuyahoga County Treasurer website explains this in more detail. The website also has a link to the Cuyahoga County rules. Some states are called hybrids, meaning they have some of the features of a tax lien certificate auction and some of the features of a tax deed auction. You can get a complete list of auction types in each state at Members.TedThomas.com. Every state has some sort of tax defaulted property auction and every state has different rules. Every county also has different rules. State law gives local governments some leeway in how to conduct their tax defaulted property auctions. Illinois sets some basic rules, but each county has additional rules you must know. DuPage County, IL, is planning an auction in November. To participate, you must register as a bidder after Oct. 1. A $500 deposit and an IRS form W9 are required with the registration form. St. Clair County, IL, also requires registration before the auction, but you can register any time during the year. You do have to provide a $500 deposit, but IRS form W9 is not required. To get the specific tax defaulted property auction requirements, contact the tax collector’s office in the county where you want to invest. The first thing you have to do is find an auction. Decide which state you want to invest in. Let’s use Ohio as an example. Summit County, “holds one sale each year, usually at the end of each October,” says the website. If you miss the Summit County sale, just find another county with an auction coming up. Coshocton County holds auctions twice a year, once in October and once in May. When you select a county, then get the list of properties offered for sale in that auction. You can get the list of properties from several places. • The tax collector’s office. They have a list of properties. Most often this list is available online, or you can request this list. You may have to pay for it. • The local newspaper. Tax defaulted property auctions must be advertised in the local newspaper. These listings appear in the Legal or Public Notices section of the paper. You may be able to read the listings on the newspaper’s website. You can call the newspaper and have a copy mailed to you. • Online. Tax defaulted property auctions are also published online by state newspaper associations. Reading the list of properties is free and you can print them. Here is a list of most state newspaper associations. Each association will have a link to the Public Notice website they maintain. These notices give you the information you need to start your homework. You will learn how much back tax is owed and where the property is located. That’s the information you need to do more research. This is the most important part. You have to know if the property is worth your investment. US News and World Report interviewed me and some other experts about this kind of investing. We all agreed, you must know as much as you can about the property. “It is important, he notes, to know all the details about the property, such as its current condition, zoning restrictions, what easements exist, the amount of yearly property taxes, previous sales prices and what the amount of the most recent tax appraisal is. Searching the property details on Google or sites such as Zillow is a good place to start, since markets are constantly changing,” wrote Joel Cone. Zillow is a real estate information website. You can learn volumes of information about a property on this website. My website, Members.TedThomas.com, has two videos that teach you how to use Zillow. I also teach you how to learn as much as you possibly can about the property. I have a three-video series titled “5 Steps to Successfully Researching Properties Online” at my website. I have several more videos in which experts give their best advice. Once you become a member, you can watch these videos as often as you need to. Are you ready to start making big profits by work part-time investing in your own tax lien certificate program? You can. Let me help.